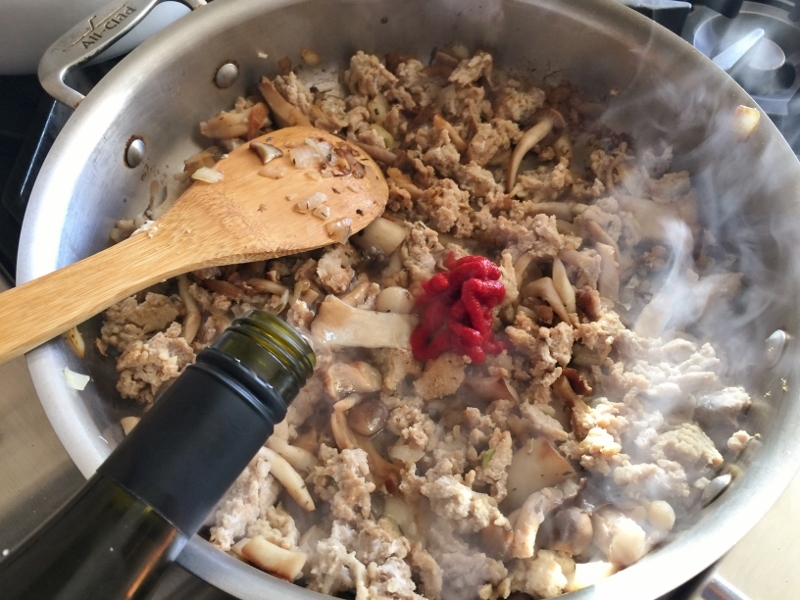 Turkey & Wild Mushroom Bolognese - Recipe! - Live. Love. Laugh. Food. I was in Bologna a few week ago and what I learned about Bolognese is that it’s mostly about the meat. In our country, meat sauce is usually about a thick rich tomato base that is swimming around a few ground bits of meat. 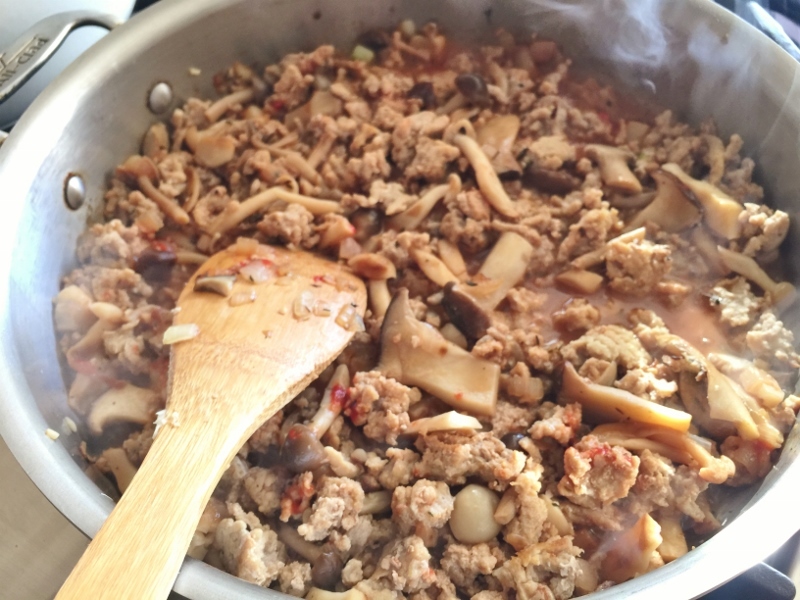 So, I thought I would make a sauce closer to its original, but with a twist using turkey meat and mushrooms without an overly rich tomato base. 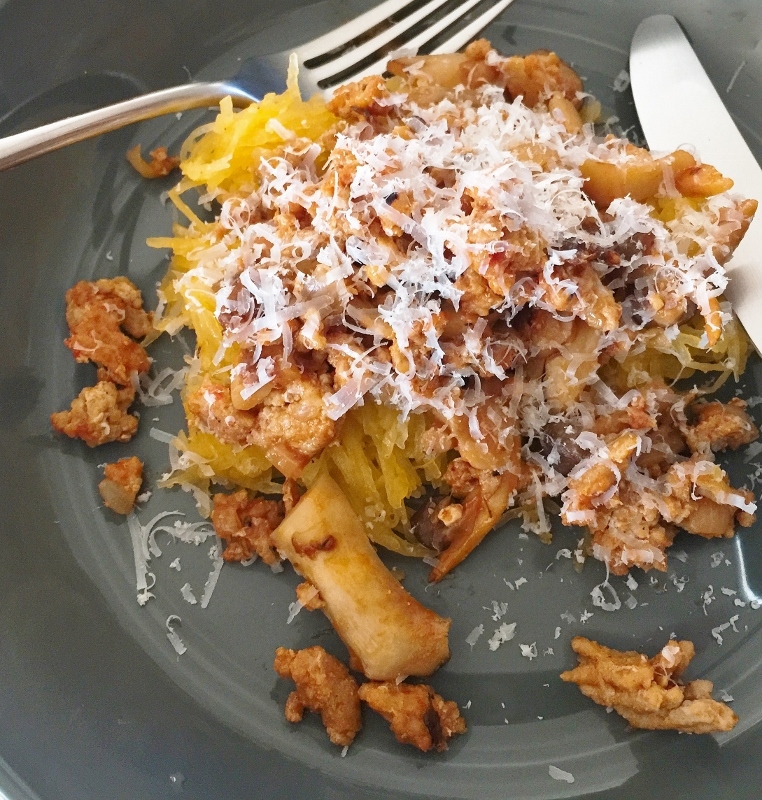 I use both light and dark ground turkey in this bolognese (Jennie-O has many good quality products that work nicely in this recipe – Sponsored Post). 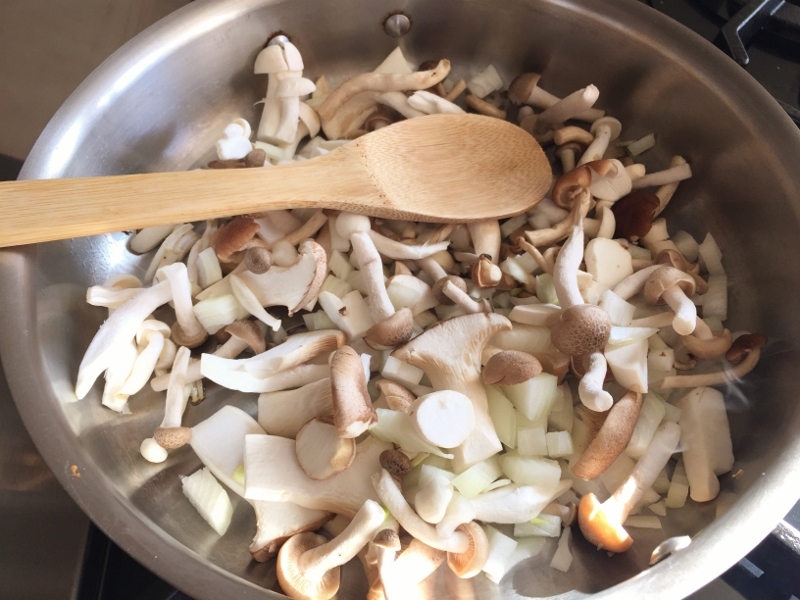 The combination of wild mushrooms like oyster, shiitake, crimini and maitake makes a big difference in taste, so choose mushrooms you enjoy eating. 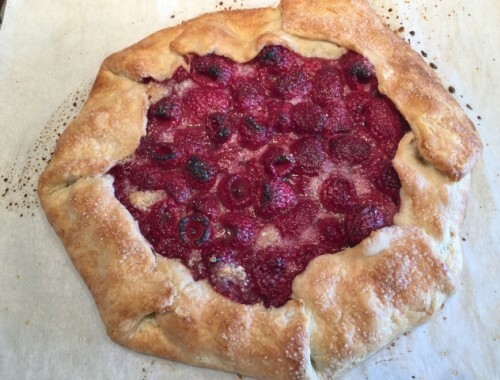 As for the sauce, a little tomato paste, white wine and chicken broth – that’s pretty much it. 1. Prepare pasta or spaghetti squash as directed, set aside. In a large saute pan, add 1 tablespoon olive oil and place over medium heat. 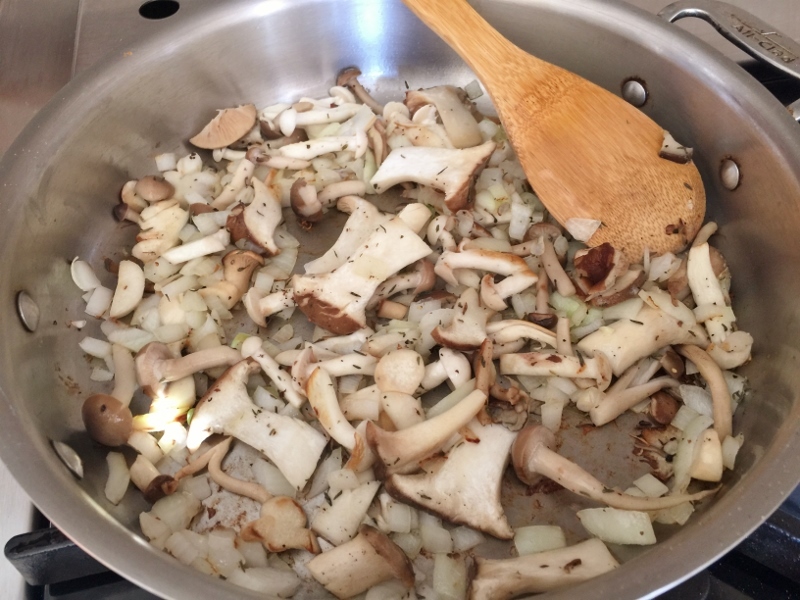 Add diced onion, mushrooms and garlic and saute for 6 minutes. Add dried thyme and stir. 2. 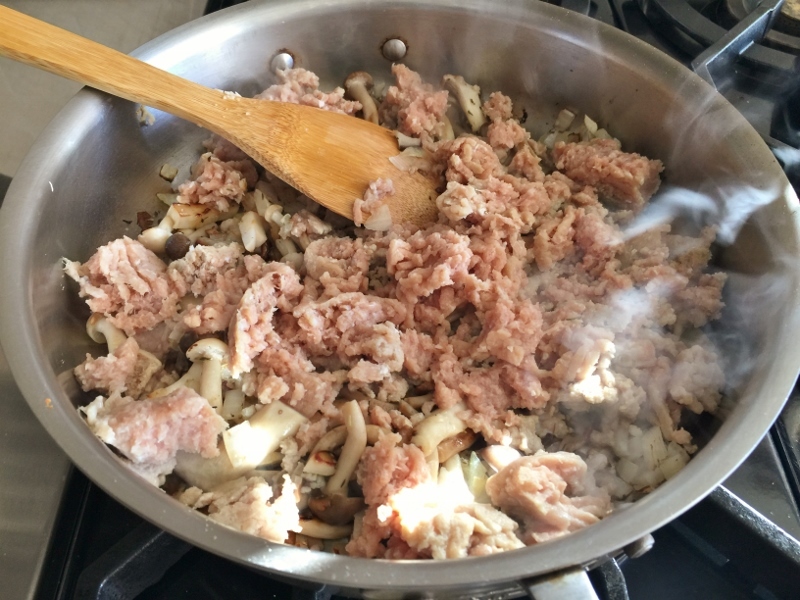 Add ground turkey and break apart with spoon. Cook meat until cooked through, about 5 minutes, stirring occasionally. 3. Add tomato paste, white wine and chicken broth, stir to combine. 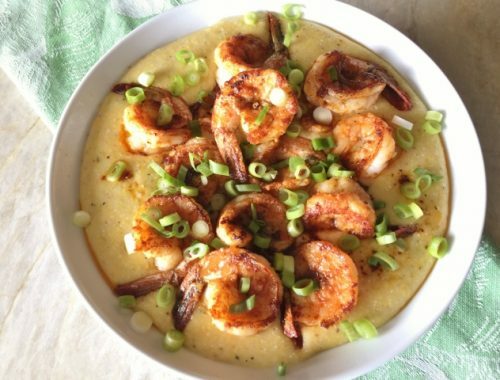 Turn heat to low and simmer sauce for 20 minutes, or until liquid is mostly absorbed. 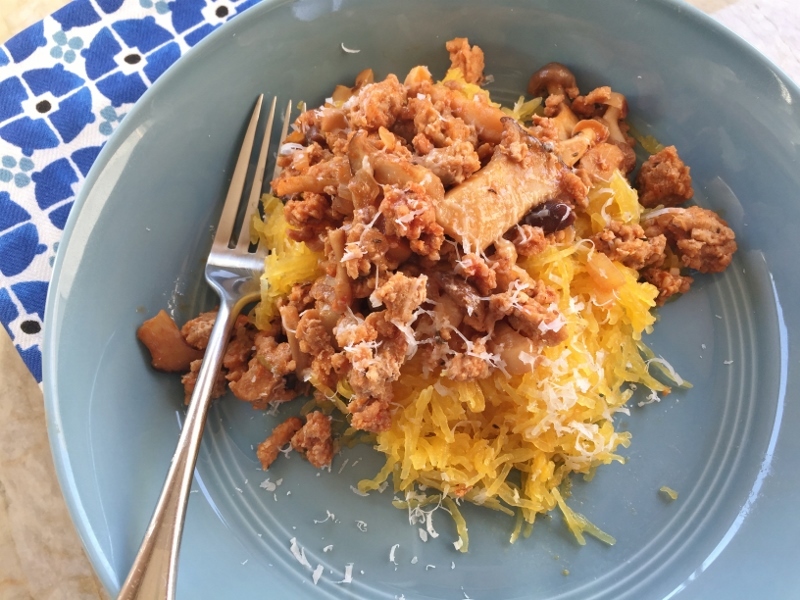 Toss sauce with pasta or dollop on top, if using spaghetti squash. Enjoy! 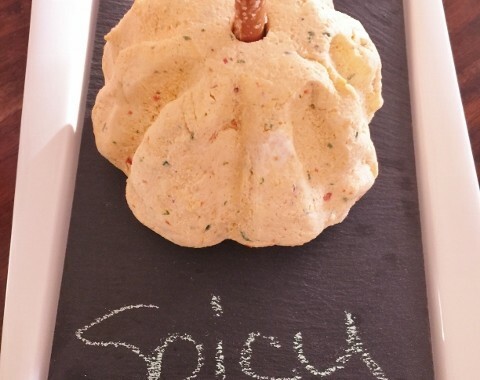 Easy Spicy Cheese Ball – Recipe!